Description: This classic 12" paver is lightly distressed and softly textured. White...a clean white background is lightly accented with gray-beige tones. 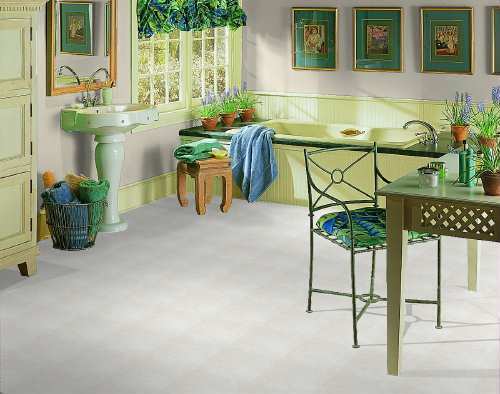 A ToughGuard floor, featuring the patented CleanSweep no-wax wear surface, and a 15-year limited warranty. Most patterns available in 6 and 12 foot widths.